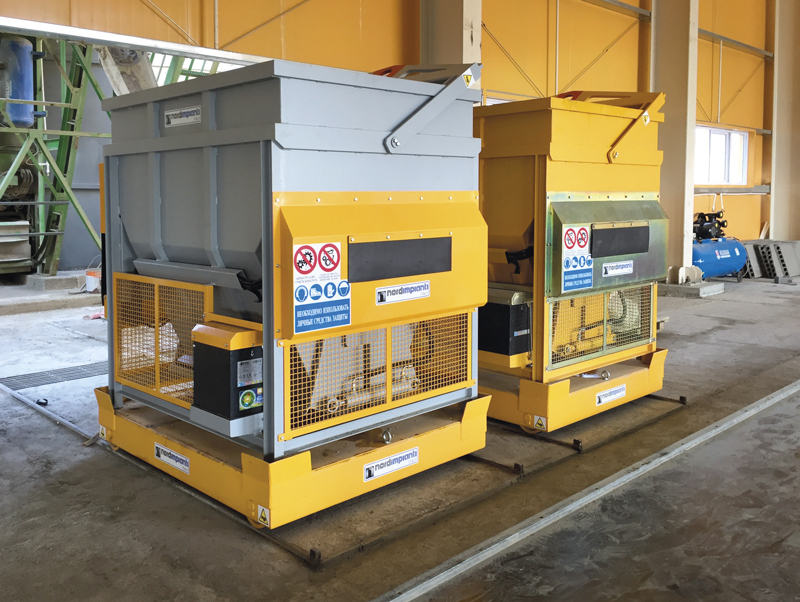 Where the concrete mixing plant is situated beyond certain limits from the production area it is possible to use a bucket holder trolley to transport the buckets from the mixer to a point where the bridge crane, inside the production area is able to take the buckets and carry them to the production machine or to the mould to use. The trolley moves on rails, and is powered via a cable reel. The trolley is designed to transport up to 2 buckets at a time.